Keith Hall is a Middle Tennessee native who has worked in higher education for more than 17 years and joined APU in 2012. 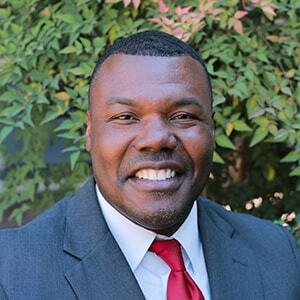 As vice president, chief diversity officer at Azusa Pacific, Keith leads ongoing efforts to further cultivate a university culture and climate that enable the diverse demography of faculty, staff, and students at APU to thrive. To accomplish this goal, Hall is committed to working collaboratively with academic, administrative, and student leaders to employ strategic initiatives that amplify diversity, equity, and inclusive excellence across the university system. Prior to moving to Southern California, Keith was a psychology instructor at Tennessee State University and director of multicultural affairs at Lipscomb University. 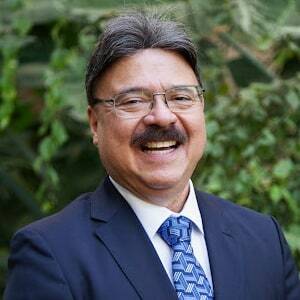 More recently, he was executive director of APU’s Undergraduate Academic Success Center, providing leadership for Academic Advising, TRiO Target Success, TRiO Upward Bound, the Noel Strengths Academy, and Student Success Initiatives. Hall earned a B.S. in Psychology at Middle Tennessee State University, an M.S. in Counseling Psychology at Tennessee State University, and an Ed.D. in Organizational Leadership at Pepperdine University. 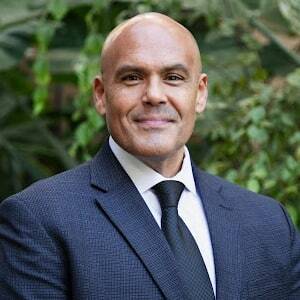 Richard S. Martinez is the executive director of the Center for Diversity, Equity, and Inclusive Excellence (CDEIE), which designs and facilitates professional development opportunities for faculty and staff in the area of inclusive learning environments. Richard has facilitated groups as they address issues arising from diversity and organizational culture. His experiences in education include classroom teaching; school, district, and county office of education administration; professional development design and facilitation; and university teaching in educational leadership. He has facilitated nationally on the art of leadership, culturally proficient environments, and transformative approaches to systems change. He is co-author of a best-selling Corwin Press publication, Culturally Proficient Coaching: Supporting Educators to Create Equitable Schools (2007). 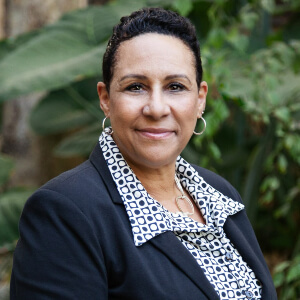 Stephanie Haskins has been executive assistant to the vice president, chief diversity officer since June 2015. She brings more than 12 years of higher education experience, innovative ideas, strategic communication, and technical knowledge to the position. When working with Stephanie, it is apparent that she has the gift of hospitality and enjoys creating a welcoming environment across university settings. Stephanie earned a B.S. in Organizational Leadership from Bethel University and an M.A. in Management from Azusa Pacific. In addition to providing support for diversity initiatives, Stephanie leans into her passion and calling for leadership to mentor, train, and challenge young women and men to work effectively in an organization without compromising their morals and values as they carry out the impact God created and designed for them. Aaron Hinojosa is the executive director of the Student Center for Reconciliation and Diversity, providing leadership and management for all student-led ethnic organizations, coordinating leadership development and diversity training for student leaders, and collaboratively designing programmatic efforts and initiatives to support the holistic well-being of all students. He brings valued insight and perspective on the Diversity Collaboration Committee, the Diversity Council, and the Student Life Diversity Values Committee, which he chairs. Aaron started his professional career at APU as the director of the Office of Multi-Ethnic Programs in 2011. Prior to his time at APU, he held educational posts such as dean of college counseling at Maranatha High School in Pasadena, associate director of admission and financial aid at Viewpoint School, and associate director of admission for the College of Letters, Arts and Sciences at the University of Southern California. Aaron earned a B.A. in Psychology at Azusa Pacific and an M.Ed. in Higher Education Student Affairs Administration at the University of Southern California. He is pursuing a Ph.D. in Higher Education at APU.